A concert featuring Claudia Schmidt’s Swing Band will be presented in Suttons Bay on Friday, April 17, 2009 at 7:30 pm. 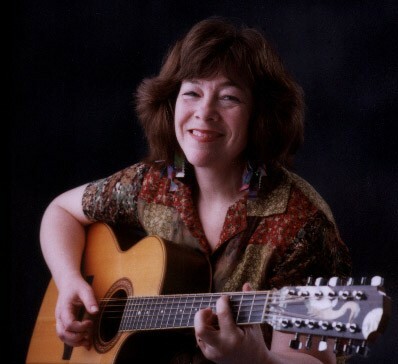 The swing band features well known local vocalist Claudia Schmidt, who has recorded fourteen albums of mostly original songs, exploring folk, blues, and jazz idioms featuring her acclaimed 12-string guitar and mountain dulcimer playing. Joining her are Steve Stargardt on piano, Jack Dryden on bass, Randy Marsh on drums, and Laurie Sears on sax and flute. This great combo will play at the Suttons Bay High School auditorium as part of the Friends of Fine Arts concert series sponsored by Bahle’s of Suttons Bay and L. Mawby Vineyards. Opening for the Swing Band will be Suttons Bay High School students Ben Taber on guitar, Ryan Manning on bass, and percussionist Dylan Schmidt. Tickets are $12 for adults and $5 for students and will be sold at the door only. The doors will open at 7:00 pm. Proceeds from the concert will benefit the Suttons Bay Educational Advancement Fund. For more information call 271-4983.